Oxford University Press. Hardcover. 0198217013 Fast Handling - Ships next Business Day!!!! . Good. Oxford at the Clarendon Press. 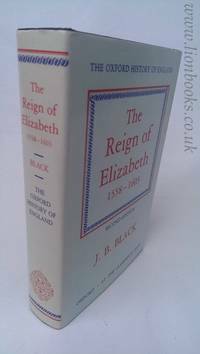 1988 Oxford at the Clarendon Press reprint of second edition hardback, blue boards, no dj; good+ copy, faint stains on top page edge else very good; UK dealer, immediate dispatch . Good. Hardback. 2nd Edition. 1988. Oxford University Press. Used - Good. Ships from UK in 48 hours or less (usually same day). Your purchase helps support the African Children's Educational Trust (A-CET). Ex-library, so some stamps and wear, but in good overall condition. 100% money back guarantee. We are a world class secondhand bookstore based in Hertfordshire, United Kingdom and specialize in high quality textbooks across an enormous variety of subjects. We aim to provide a vast range of textbooks, rare and collectible books at a great price. Through our work with A-CET we have helped give hundreds of young people in Africa the vital chance to get an education. We provide a 100% money back guarantee and are dedicated to providing our customers with the highest standards of service in the bookselling industry. Oxford University Press, USA, 1959-12-31. Hardcover. Good. Oxford University Press, 1985. Second edition. Hardcover. Very Good/very good. Oxford at the Clarendon Press 1988. Second Edition. Hardback. Size 9 x 5.5 inches. Dark blue cloth with gilt titles. Owner's name and University to front endpapers. 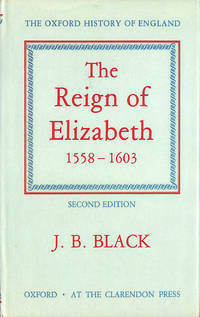 Illustrated with maps and genealogical tables. 539 pages including index. Near Fine in similar unclipped dustwrapper. 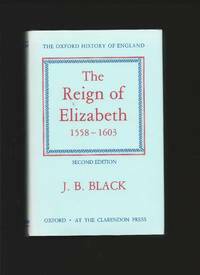 The Oxford History of England. Oxford at the Clarendon Press. 1991. Second edition. Hardback. Size 9 x 5.5 inches. 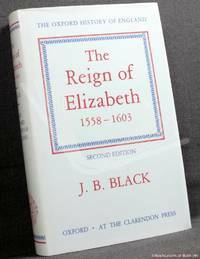 Black cloth with gilt titles to spine. No inscriptions, Marks or Entries. Illustreated with maps & genealogical tables. . 539 pages including Index. Fine in Fine un-clipped dustwrapper. 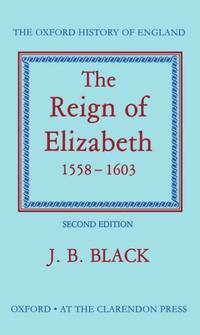 The Oxford History of England. Book condition: Very Good - in Very Good Dust Wrapper. Gently faded at the spine of the dust wrapper. 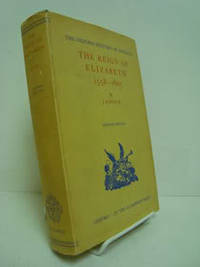 Edition: reprint of 2nd edition. 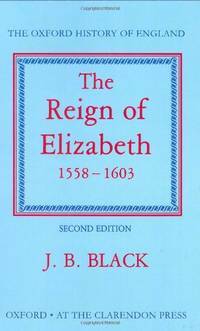 Oxford University Press, 1991. reprint of 2nd edition.. Hardback. Imitation cloth, dj, F/VG+. xxxviii+539pp, 7 b/w maps, index, a fine copy in a fine dustjacket. 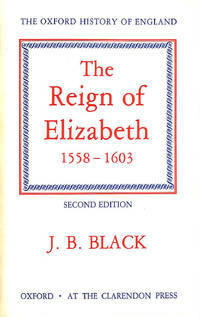 Readable history of England - this volume covering the reign of Elizabeth I & the great age of Exploration & diplomacy. Oxford At the University Press. Very Good+ in Very Good dust jacket. 1985. 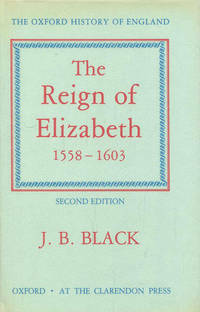 Second Edition (reprint). Hardcover. 0198217013 . Dw has sl fading to spine. 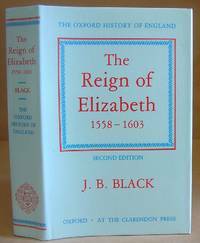 ; The Oxford History of England; 8vo 8" - 9" tall; 539 pages . Oxford At the Clarendon Press. Very Good in Very Good dust jacket. 1987. Reprint. Hardcover. 0198217013 . Sl fading/browning to spine dw. A heavy item that will require additional shipping for overseas customers on some sites. 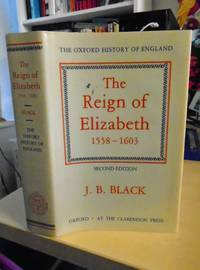 ; Oxford History of England; 8vo 8" - 9" tall; 539 pages .